"(of) a dedicated, joyous, enthusiastic choir that uplifts my spirit"
"(I can) share my voice with other members of the choir." 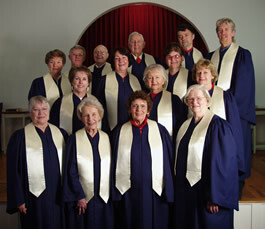 The First Community Church Choir consists of members and friends of the church who like to sing. 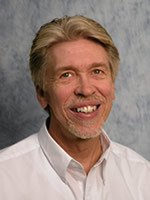 It is an all volunteer choir that is led by David Sickles - director and accompanied by Michael Larson - organist/pianist. Currently there is a nice mix of soprano, alto, tenor and bass voices that blend together in harmony for our anthems and introits. The music selection varies from contemporary to southern gospel to traditional. The choir sings an introit, anthem and benediction every Sunday at the morning worship service. The choir also sings at special services, including the Maundy Thursday service and the special candlelight Christmas Eve service. 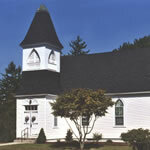 They have been asked to sing for funerals and memorial services that are held at the church. New members and friends are always welcome and encouraged to come and sing and join with us in the family of God.